Yes, you heard it right. 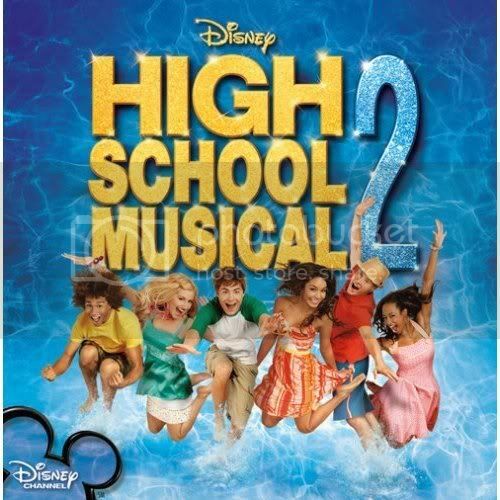 Disney just released the much anticipated sequel for the hit TV musical of 2006, High School Musical 2. High School Musical 2 is the sequel to the Emmy Award winning Disney Channel Original Movie, High School Musical. It debuted on Disney Channel and Family Channel last Friday, August 17, 2007. 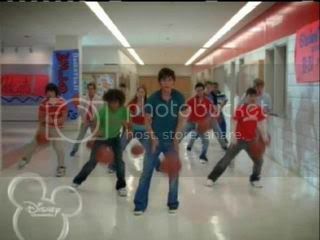 The Summer just come and Troy Bolton is worried for his College application. Here comes Sharpay Evans to the rescue by recommending Troy to her Family business resort Lava Spring. She planned this to get closer to Troy but the plan is foiled when Lava Spring hired almost all the East High Student body including the Wildcats Basketball team, The Braniacs, Kelsie and Gabriella. Because of that, Sharpay decided to isolate Troy from his friends especially from Gabriella by offering Troy great opportunities in Lava Spring and a College scholarship fixed for him by Sharpay's Parents. Meanwhile the relationship between the twins Sharpay and Ryan is on the rocks when Sharpay dropped Ryan in the Resort's Talent show to sing with Troy instead. 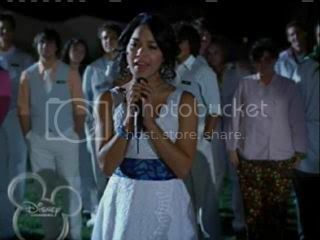 AT the same time, the WIldcats and Gabriella noticed the big change on Troy making Gabriella decide to quit working in Lava Spring and Performing with him in the talent show. Now Troy is given a choice. Fame and Fortune or Gabriella and his friends. I thought the first movie is enough and the sequel will turn out to be a total crap. But Disney just got good writers to create such simple but good story. 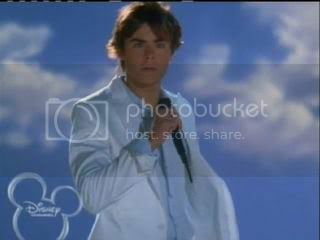 In High School Musical 1, we witnessed how the characters struggles to find there own identity inside an institution like High School. Now, the cast went out the boundaries of their class room, leaving those books, pens and assignments and entering the serious life of working as employees inside a private resort. We will notice how most of the stars matured from last time we saw them on the first movie. Vanessa and Zac in particular became more daring. Every guy should see Vanessa wearing those Lifeguard swimsuit and every girl will giggle when they see Zac's more chiseled facade. Talent wise, everyone did a good job especially Zac Efron. Remember on an interview on Rolling Stone, he admitted that he is not the voice behind Troy Bolton on the first movie. And he really feels very bad about that. But to the delight of Zac's fans, he ensures everyone that he is the one singing this time. As I watch him perform, I should say he did very well. The songs made for this sequel are all as good as the previous set from the first movie. 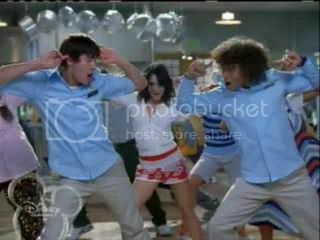 Among my favorites are "You are the Music in Me" which is performed by Gabriella and Troy, "Work This Out", an upbeat song talking about working together to achieve everything and lastly the song "Everyday" where it talks about grabbing every chance of our life and don't waste time because once a lifetime there is no second chance. 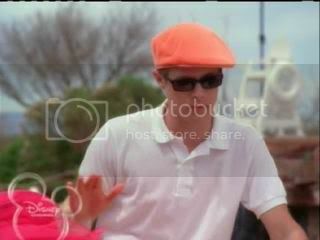 I'm also greatly moved by the character of Ryan played by Lucas Grabeel. Being ignored by his sister all the time, he snapped when Sharpay dropped him as a partner in the Resort's musical. Ryan's bubbly and some times idiotic persona became gloomy and more vulnerable. Good thing the Wildcats welcome him to the gang and experienced the love and acceptance he doesn't received from his sister. All in all, High School Musical did it again. Setting a new basic cable record upon its premiere, with a total of 17.24 million viewers tuning in, almost 10 million more than the debut of High School Musical, making it the highest rated basic cable broadcast of all time. Another success for Disney Channel.